Having a positive attitude helps people live longer, more productive lives, and increases their self-esteem. During the month of October, people are encouraged to find new ways to increase their positivity for a better lifestyle. Here are three quick ways to be more positive that anyone can do. Create a Positive Retreat at Home – The first, and probably most logical place to begin making changes for a positive attitude is at home. It makes sense, because the home should be a place that is already peaceful and relaxing. Adding a hot tub to the backyard has an immediate effect in two ways. First, it expands the living area of the home to the outdoors, and second, it offers a luxurious place to unwind and enjoy each other’s company. A portable spa on the porch also has the physical benefits of hydrotherapy to create a soothing place to de-stress after a long day of work, school or chores. 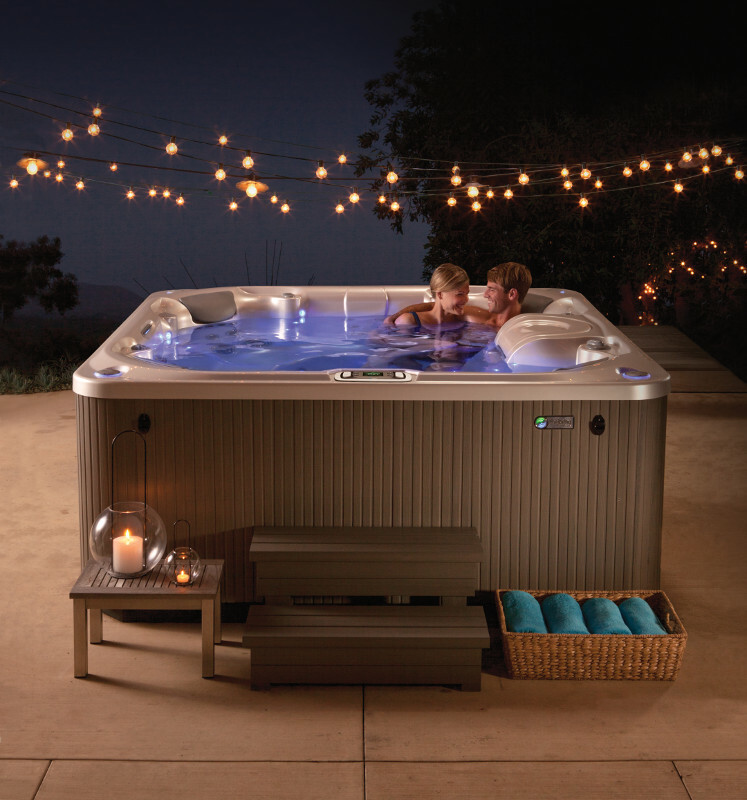 Hot tubs also increase physical wellness so the body is more able to feel better about itself and life in general. Soaking in the comfortable, temperature-controlled water takes all of the pressure off of a stressed body while the soothing massage jets work out kinks and tightness in the muscles. Expect the Best – Being positive has its own powerful benefits. Just the act of having a positive attitude increases a person’s ability to believe that good things will happen – even during tough times. Having a positive attitude allows a person to see the silver lining that will not only make it worthwhile having dealt with whatever is going on, but may even be beneficial. Just the act of expecting the best frees up people’s minds to work on positive solutions to the problems they are having. Part of the expectation of good outcomes is learning how to use positive self-talk. People who learn to phrase their thoughts in a more helpful manner are more apt to be successful. Learn to Laugh at Life – Negative things are going to happen. No amount of bargaining, dealing with the Universe or planning will circumvent the fact that bad things happen. Whether the bad things are minor annoyances or major upheavals, learning to laugh at the problems that life manages to insert in a day is the best way to remain positive in all circumstances.